A bipartisan group of representatives have introduced HR 3356, the Prison Reform and Redemption Act. The bill has seven cosponsors, one of whom is Mr. Bob Goodlatte (R-VA)—the Chair of the House Judiciary Committee. With Rep. Goodlatte supporting the bill, it has a greater chance of making it out of the Judiciary Committee. But the bill still requires a floor vote in the House, and passage by the Senate before the President can sign it into law. Here are some Frequently Asked Questions that I have put together about the proposed legislation. 1. What is the Prison Reform and Redemption Act, HR 3356? earn “time credits” for participating in recidivism reduction programs and “productive activities.” These time credits could then be used to lengthen the amount of time federal prisoners spend in prerelease custody (i.e., on home confinement, in a halfway house or on “community supervision”). 2. How will the Prison Reform and Redemption Act be implemented? Answer: The proposed legislation directs the Attorney General to create a Post-Sentencing Risk and Needs Assessment System (“System”) within 180 days after the bill becomes law. The System will assess each federal prisoner’s risk of recidivism. The System must be statistically validated. Within 180 days after the System has been created, the BOP is required to begin implementation of the law. Federal prisoners will be assigned to “recidivism reduction” programs based on their recidivism risk. Individuals will be reevaluated periodically and assigned to participate in different programs based on their risk of recidivism. 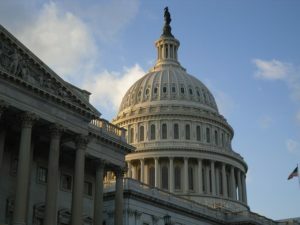 The BOP is afforded five years to fully implement the bill, with 20 percent of the BOP population phased in each year. Prisoners who are closest to release would have priority for purposes of participating in recidivism reduction programs. While the System is fully phased in, the BOP has the authority to give prisoners “time credits” and other incentives for participating in existing recidivism reduction programs and other productive activities. 3. What incentives does the Prison Reform and Redemption Act offer for prisoner participation? Answer: Federal prisoners can earn 10 days of “time credit” for every 30 days of successful participation in recidivism reduction programs or “productive activities.” A bonus of 5 days can be earned after two “successful reassessments” and continued participation in programming. Additionally, prisoners who have low or no risk of recidivism can also receive 5 extra “time credits” per month after two reassessments and further program participation. The BOP is also authorized to give prisoners who participate in programs up to 900 phone minutes per month, but not more than 30 minutes per day. 4. How do the “time credits” work under the Prison Reform and Redemption Act? Answer: First off, the time credits are not good time. This bill leaves in place the current method for earning good time. You can earn time credits on top of good time. A prisoner can be transferred to prerelease custody when the time credits earned are “equal to the remainder of the prisoner’s imposed term of imprisonment.” The Warden then makes a recommendation to the prisoner’s sentencing judge that the person be placed in prerelease custody. The court has 30 days to act on the request. If the court does not act, the request for transfer to prerelease custody is considered granted. If the Warden does not request prerelease placement, the prisoner may appeal the Warden's decision to the Director of the BOP. If the Director denies the appeal, reconsideration may be sought with the sentencing judge. 5. How does the Prison Reform and Redemption Act define “prerelease custody”? 6. Can non-U.S. Citizens receive the incentives offered by the Prison Reform and Redemption Act? Answer: Non-citizens can participate in this program. Non-citizen prisoners who are eligible for prerelease custody will be transferred to immigration officials for deportation rather than being released into the community. 7. What does “recidivism reduction program” mean under the Prison Reform and Redemption Act? 8. 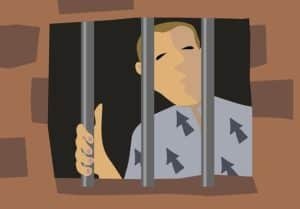 What does “productive activity” mean under the Prison Reform and Redemption Act? 9. Who is ineligible for the benefits of the Prison Reform and Redemption Act? Answer: There are a long list of exclusions. Generally speaking, individuals convicted of violent offenses are excluded. Drug crimes which resulted in serious bodily injury or death are excluded. ACCA offenders are excluded. The list of exclusions is too long to put in this FAQ. 10. What else is in the Prison Reform and Redemption Act? The bill allows BOP guards to store their personal guns outside the secure perimeter when at work. The bill also curtails the use of restraints on pregnant prisoners. The bill requires BOP staff to under “de-escalation” training. The bill requires the BOP make e-mail communication between prisoners and their lawyers confidential. The bill modifies 18 USC 3582 to allow federal prisoners to seek compassionate release from their sentencing court if the Director of the BOP refuses or fail to request such relief. Finally, the bill allows prisoners 60 years of age or older who have served two thirds of their sentence to serve the rest of their time on home confinement. Offenders excluded from the time credits are excluded from this program as well. This program would only be authorized for fiscal years 2018 to 2022. 11. Where can I obtain a copy of these Frequently Asked Questions About the Prison Reform and Redemption Act? Answer: A downloadable version of these frequently asked questions can be accessed here: Prison Reform and Redemption Act FAQs. Brandon Sample is an attorney, author, and criminal justice reform activist.Brandon’s law practice is focused on federal criminal defense, federal appeals, federal post-conviction relief, federal civil rights litigation, federal administrative law, and the Freedom of Information Act (FOIA). My boyfriend had his out date to go to the halfway house pushed back. Any ideas why and what can be done? It could be because of budgetary constraints or the closure of halfway houses. You should reach out to your member of Congress and the BOP’s Residential Re-entry Manager where he is releasing to. I am currently analyzing this bill and I must say you did an amazing job on this Brandon. Brandon, thank you for your continued support and champion of inmate and Defendant-friendly causes. As we all know (at least those of us with an operational brain), the current Administration (perhaps aside from “the Generals”) are political extremists, whose philosophy and beliefs, if implemented, would set this country back years, pre-racial integration, maybe even pre-Columbian (inasmuch as our dear President fails to grasp the concept that we are ALL immigrants here – white Europeans were arguably the last to arrive!). At any rate, notwithstanding the dire state of affairs, we must move forward to the extent the political climate allows. Given the majorities in both Houses of Congress, it seems doubtful that Defendant/inmate advocacy of pressing needs will be forthcoming any time soon. Hopefully the courts will be our last, and abiding refuge for redressing a perpetually unfair and unjust criminal justice system. Case in point is the curtailment of Halfway House (R.R.C.) placements. I have read everything related on this site as well as that found on independent sources discussing the same issue. None of the B.O.P.’s justifications hold water. They just do not. Simply take a look at the Administration’s recent banning of certain so-called provocative words used by the Center for Disease Control (C.D.C.). The truth is, these words do not fit well with the Administration’s ultra-conservative views. As a result, we abandon the First Amendment. Not only that, but the banned words seem essential to relevant scientific research. Nevertheless, that little point is easily dismissed by an individual who, for just one example, rejects thousands of the world’s most prominent scientists’ confirmation that yes, global warming does exist, and yes it is predominantly caused by man and rampant, unchecked industrialization. In other words, what is happening overall cannot be explained by the current rhetoric. Instead, and with this Administration, all must be seen for its very real ulterior motive to drive home at all costs an extreme political philosophy, which seemingly pervades every word and deed that emanates therefrom. In sum, although I dislike being the bearer of bad news, to be quite candid, I do not see major improvement in any of the issues discussed in this article until a change in Administration is forthcoming. Sadly, all the work done in this area by our previous Attorney General Eric Holder has been, is in the process of, or will be in the future, run out of town (either through legislation, fiat, staff appointments, or Executive Order, among others). This all has much less to do with being either a Democrat or a Republican, and more to do with just being a fair-minded, deep thinking, and just person. Qualities we find way too little of at 1600 Pennsylvania Avenue. There is, however, some light at the proverbial end of the tunnel. If you have a friend or loved one either in prison or in jeopardy of going to federal prison, there is probably no one nationwide more knowledgeable, more experienced, than Brandon Sample and Associates. Brandon and colleagues are more accomplished, more learned, and actually care, really care about the “raw deal” some criminal Defendants receive. Where others have no solutions, Brandon can think “outside the box” as they say and find resolutions and relief where others cannot. Where so many are victimized by a system that everyday and in every way seeks to crush the human spirit and extract their pound of flesh at all costs, Brandon may not be capable of reversing such overwhelmingly negative outcomes in every case. However, if relief can be had, I would cast my stone on, place my faith in, put my bet down on, Brandon and colleagues. I wish everyone well. Yes, we have mountains to climb, obstacles to circumvent, but we also have individuals like Brandon who will accompany us and assist us every step of the way. TAKE CARE ALL !! Has this been voted on? Or what is the status? The bill has not yet received a vote. We are all still patiently waiting. I currently am seeking advice for my husband who was sentenced to the BOP in December… if anyone can help me I would greatly appreciate it!! what about state prisoners? will they ever be allowed some sort of relief? That is a good question. This is handled at the state-level, so every state is different. But generally speaking, there seems to be a push for reform.